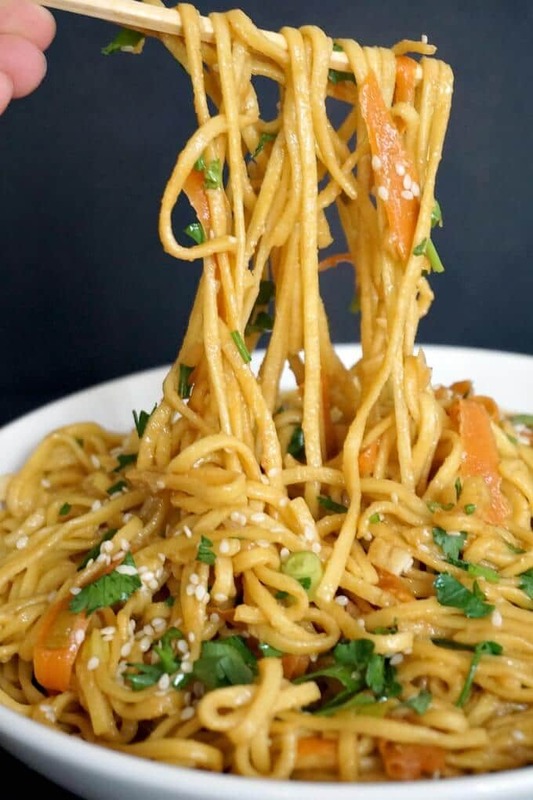 Sesame noodles, a delicious and healthy Chinese recipe that is ready in about 15 minutes. 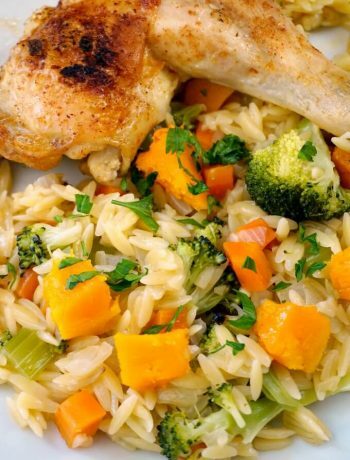 The quickest and easiest vegetarian dinner for busy families. 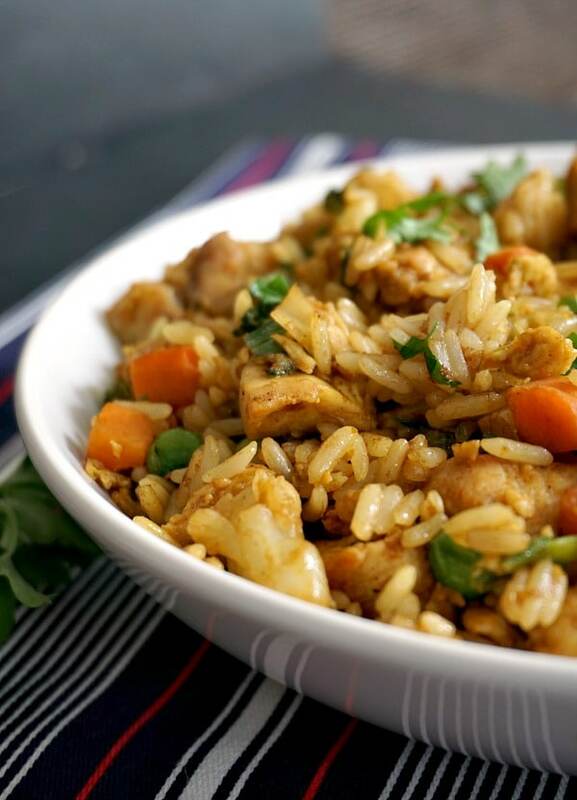 Whether you are looking for some delicious recipes for the upcoming Chinese New Year or you just want a super quick dinner, this is the recipe for you. Forget about the instant noodles that are full of God knows what ingredients, these sesame noodles can be ready in just about the same time. 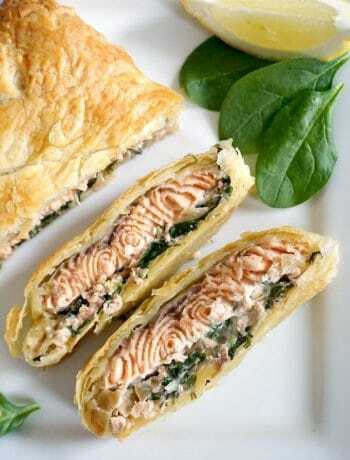 And they are way healthier, tastier, better, and all in all superb. The very word instant is the one that worries me. If you ever read the ingredients listed on such an instant packet of noodles, you will see tons of weird ingredients listed. They might be relatively low in calories, but they are also low in quality. And super high in sodium and fat, as a matter of fact. Those food additives used to enhanced the flavour have nothing good about them. Better grab yourself a packet of noodles which can be boiled in about 10 minutes, or less, add some spring onions, ginger, garlic and carrots, a nice homemade sauce, and job done. You will notice the difference in quality straight away. This is real food, and the flavour comes from the real ingredients used, not food addititves. Yes, these are the proper noodles, done the proper way. I simply love them! 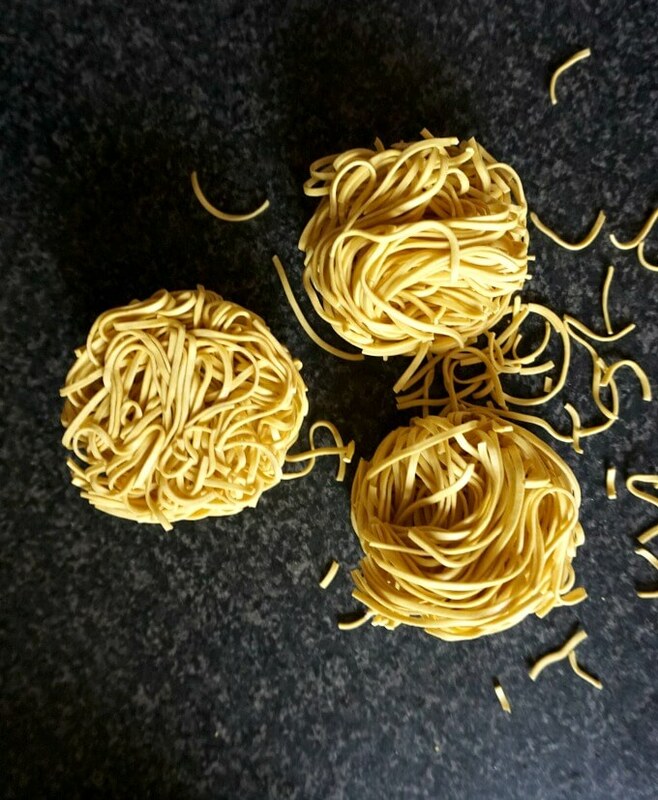 How do you make the best Chinese sesame noodles? Egg noodles are super tasty, but you can go for any other variety. They don’t cost more than £1-1.30 depending on the brand, and you get to feed the whole family. You can up the nutrition by using more veggies, even meat. The Broccoli and Beef Noodles Stir Fry are one of my favourite Asian recipes that I can eat anything of the day, 7 days out of 7. But this vegetarian version is even quicker, and equaly delicious. You don’t even need any marinade, just get everything straight into the wok, and job done! Cook the noodles according to the packet instructions. 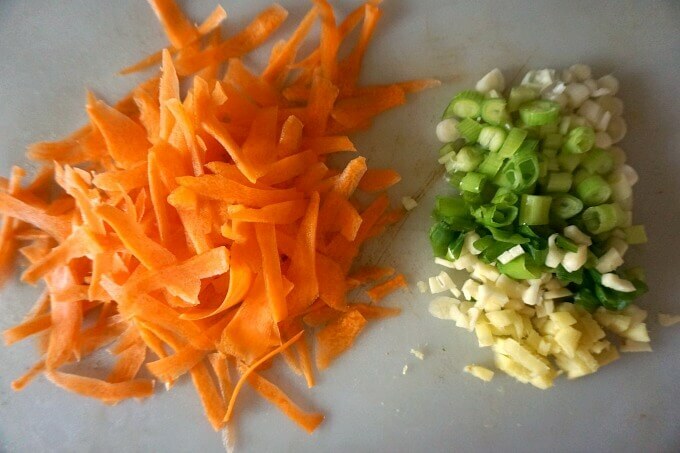 Chop the spring onions, garlic and ginger, finely slice or grate a carrot. Heat up the oil in pan or wok, add the veggies and stir fry for about 30 seconds or so, until their release their flavours. Add the noddles, give a good stir. 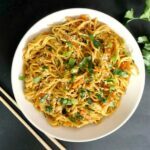 How do you make the sauce for sesame noodles? There are 2 ingredients that take this sauce to the very next level: tahini paste, and sesame oil. Tahini paste is made of sesame seeds, so it brings extra flavour and richness. Just add the tahini paste with sesame oil, light and dark soy sauce and chinese rice vinegar, and mix well. Pour the sauce over the noddles, toss well, then garnish with sesame seeds and parsley. If you don’t mind a bit of spiciness, feel free to add some chilli peppers too, I did not add any because my little one had some noodles too, they are her favourite. Talking about little ones, I can’t believe that my teeny tiny baby is now a big girl who has just started nursery. As much as I complain about being tired during the day, straight after I wake up, and pretty much all the time, I love my little ones to bits. Life with kids might not be an easy straightforward one, but it’s definitely happier. The smile on their face is priceless, and so are the moments spent together. As much as I can, I want to provide my kids with better, tastier, more nutritious food, so that later on they can make their own healthier choices when it comes to food. So, hopefully they will never choose instant noodles. 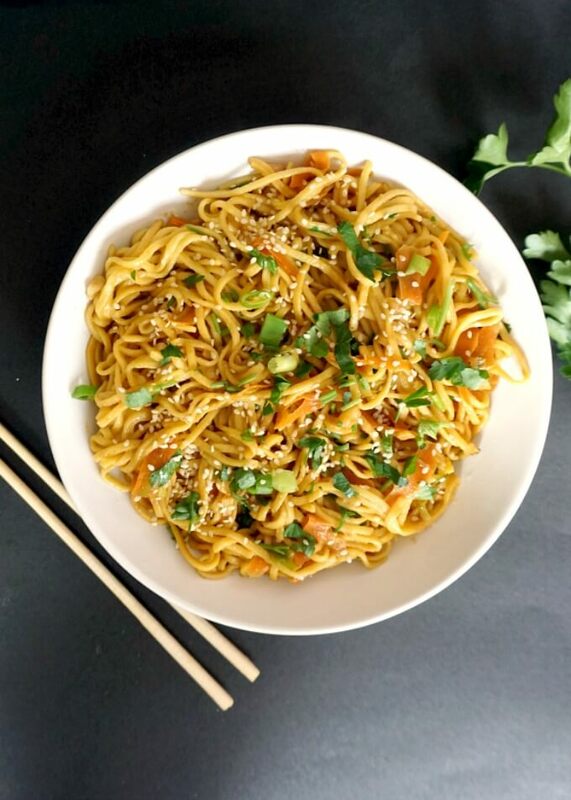 If you’ve tried my 15-MINUTE SESAME NOODLES or any other recipe on the blog then don’t forget to rate the recipe and let me know how you got on in the comments below, I love hearing from you! You can also FOLLOW ME on FACEBOOK, and PINTEREST to see more delicious food and what I’m getting up to. 15-Minute Sesame Noodles, a delicious and healthy vegetarian dinner for busy families. Boil the noodles according to the packet instructions, most noddles will be ready in about 10 minutes or less. When ready, drain the water and set aside. In a wok or large pan, heat up the vegetable oil. Grate the carrot, peel and chop the garlic and ginger and chop the spring onions. Add them to the wok, and quickly stir for about 30 seconds. Mix the soy sauces, tahini paste, sesame oil and rice vinegar, then add them to the wok. Keep stiring for about a minute, then add the cooked noodles and mix well. Remove from the heat, add the chopped parsley and sesame seeds, and serve hot. It’s a sesame seed paste, you can usually find it in the international aisle in bigger supermarkets.